Although it appears second in the New Testament, Mark is generally recognized as the first Gospel to be written. Captivating nonstop narrative characterizes this earliest account of the life and teachings of Jesus. 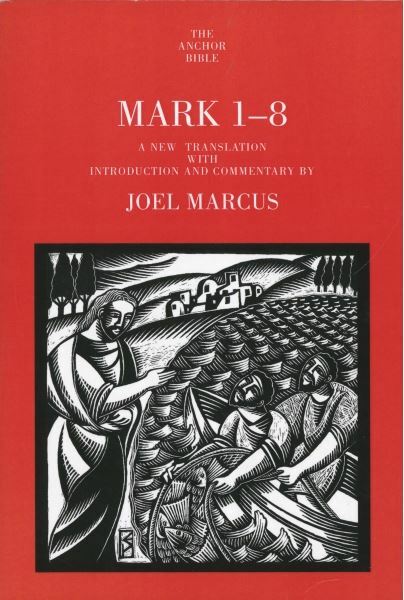 In the first installment of his two-volume commentary on Mark, New Testament scholar Joel Marcus recaptures the power of Mark’s enigmatic narrative and capitalizes on its lively pace to lead readers through familiar and not-so-familiar episodes from the ministry of Jesus. As Marcus points out, the Gospel of Mark can be understood only against the backdrop of the apocalyptic atmosphere of the Jewish rebellions of 66-73 c.e., during which the Roman army destroyed the Temple of Jerusalem (70 c.e.). While the Jewish revolutionaries believed that the war was “the beginning of the end” and that a messianic redeemer would soon appear to lead his people to victory over their human enemies (the Romans) and cosmic foes (the demons), for Mark the redeemer had already come in the person of Jesus. Paradoxically, however, Jesus had won the decisive holy-war victory when he was rejected by his own people and executed on a Roman cross. The student of two of this generation’s most respected Bible scholars and Anchor Bible authors, Raymond E. Brown and J. Louis Martyn, Marcus helps readers understand the history, social customs, economic realities, religious movements, and spiritual and personal circumstances that made Jesus who he was. The result is a Bible commentary of the quality and originality readers have come to expect of the renowned Anchor Bible Series. Challenging to scholars and enlightening to laypeople, Mark 1-8 is an invaluable tool for anyone reading the Gospel story. Joel Marcus is Professor of New Testament and Christian Origins at the Boston University School of Theology, having previously taught at the University of Glasgow and Princeton Theological Seminary. Aside from his many scholarly publications in prestigious journals such as the Journal of Biblical Literature, Catholic Biblical Quarterly, and New Testament Studies, he is the author of two scholarly books on the Gospel of Mark as well as the more pastoral Jesus and the Holocaust: Reflections on Suffering and Hope.